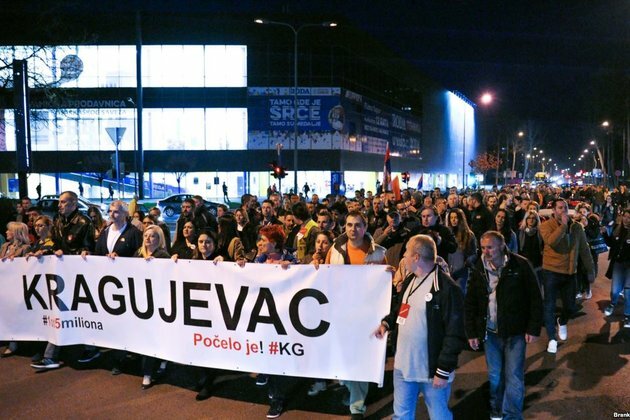 Thousands of people rallied in front of the Serbian radio-television building, demanding media freedom. Their demand was not met, and they were eventually driven out of the building by police, with at least 18 people being arrested. Some of the 18 spoke at the rally on March 23. Most of the protesters are demanding Vucic's resignation, freedom of press, and fair elections. Serbia lost control over its Kosovo Province, which has since declared independence, after NATO forces 1999 bombing campaign conducted to stop the killing and expulsion of Albanians by Serb forces during a two-year counterinsurgency war.